If you live near the sea, or visit the British coast on holiday, you’ll know just how important the RNLI is. Since it was founded in 1824, the organisation has saved more than 140,000 lives, with an average of 23 people rescued every single day. For fishermen, sailors, surfers, swimmers and anyone else who enjoys spending time by the sea, the RNLI is vital. Providing information, training and rescue, the service is one of the most valued organisations in the country. With Norfolk’s beaches just a few miles from the King William, we’re very aware of the important role the RNLI plays in coastal life. 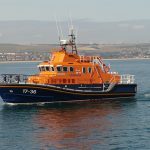 That’s why The King Wiliam has chosen the RNLI as their charity and raised over £20.000 over the years to help support the service. Every summer the RNLI hosts a sandcastle building competition on one of our local beaches. A fantastic day out for all the family, a visit to the competition is a must if you’re visiting Norfolk in early August. Held on Old Hunstanton Beach – by the boat house, the sandcastle building competition is a chance for the RNLI to raise awareness and raise funds, two things that are crucial to its survival. Competitors can sign up on the day, with three different groups available to cater to creative builders of all ages. Let your imagination run wild and create a sandcastle like no other, or opt for a traditional design and wow the judges with your classic architectural skills. If castles aren’t your thing, you can also create a sand sculpture, giving you the chance to flex your creative muscles and show the other competitors who’s boss. Prizes are awarded for the best sandcastle, so make sure you put all of your creative energies into building your entry. The RNLI Annual Sandcastle Competition 2016 will take place on Thursday 4th August. You’ll need to register by 1:30pm if you want to compete and building works begin at 2pm sharp. Alternatively, you can simply visit the beach on the day and enjoy watching visitors and locals working away on their sandy creations. Just a short walk from the competition area, you’ll find a great range of amenities, with shops, cafes and restaurants all available nearby. To find out more about local events and attractions, or to book your escape to Norfolk, have a look on our website http://www.thekingwilliamsedgeford.co.uk/or get in touch with one of the friendly members of our team today by calling 01485-571765. This entry was posted in What to do/Where to go and tagged castle, Charity, Competition, Event, Hunstanton, Norfolk, old hunstanton, rnli, sand, sea on June 27, 2016 by Lili Skerritt. 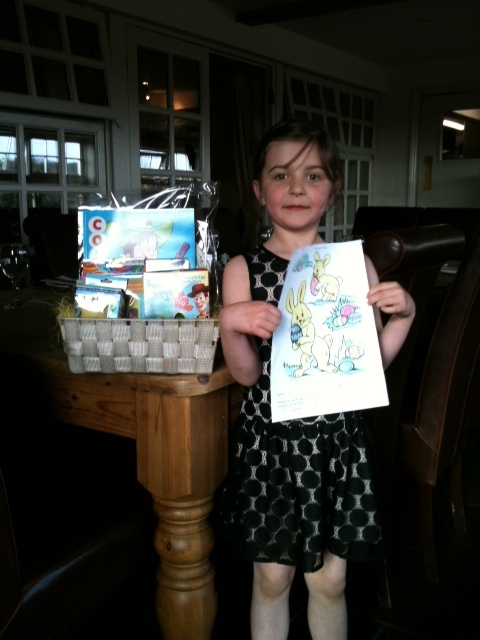 We are delighted to announce the lucky winners of The King William Easter Colouring Competition 2013. Thank you to all budding young artists for taking part. The number of colouring pages to judge was immense and proved a tough job on our panel of judges. Congratulations to Emily C. who has been voted best over 6 year old colourer, and to Olivia K. for best under 6 colourer. 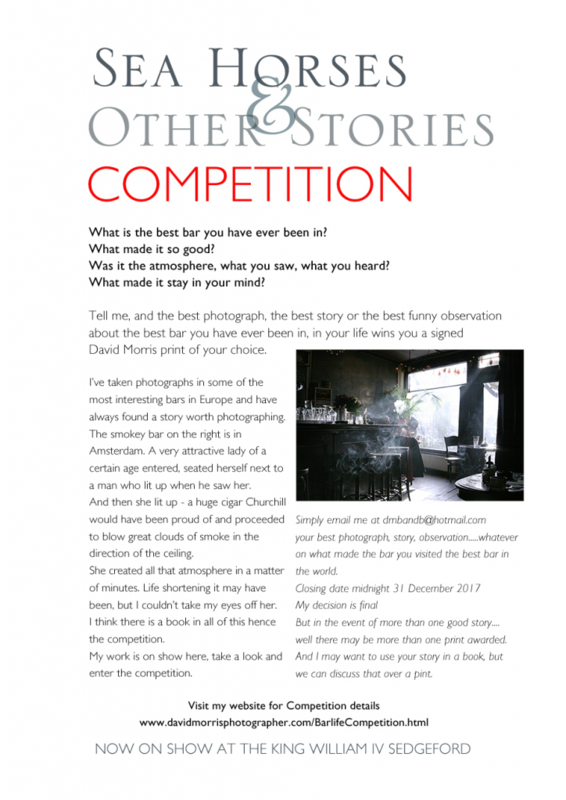 Your fabulous work was unanimously selected by our panel of judges and is displayed in the King William for all to enjoy. Very well done to Olivia, (see photograph) who proudly shows her winning entry & prize of an Easter basket full of chocolate & Easter crafts goodies. This entry was posted in General News and tagged Competition, Easter, Norfolk on April 25, 2013 by Lili Skerritt.